And there you have it, the last page of Percy. I hope you enjoyed it! I did a library visit last night in South Jordan, a Moms and Daughters book group. Rapunzel was their book this month. I did my illustration presentation and we all ate Red Vines. It was fun! It'll be a little quiet here this week. We're heading into the Picture Book Marathon next week, so Thursday and Friday's post will be low key, if not, non-existent. Gotta rest up for the big race. You all know about Calamity Jack, right? Right? I don't want to sound like a conspiracy-theory-nutcase, but I think there has to be some kind of secret government shadow agency keeping Calamity Jack down. I'm watching Totoro as we speak! Ok, we're not actually speaking, but yeah. It's a favorite of my son's. Maybe Jack is lesser known because Rapunzel is fairly complete and there's no page in the back of it that says "Look for Jack..." or whatever. I own Calamity Jack, triple-signed. In some ways I like it even better than Rapunzel. I love Calamity Jack. I never know where my copy is because my married children keep borrowing it. I also love Totoro and I LOVE PERCY! Thanks for a great story. I love Calamity Jack, and, aside from the guitar to the face part, I love Percy. I don't like my son to see people over-reacting to video games, as that is something he already tends to. Percy is cool. But I did like the idea of their fight taking in other forms of competition besides mere muscle. We love Calamity Jack, but you know that already. I think the last page is my favorite. The "clank, clank, boo hoo" across the bottom had all of us laughing. Thanks for all of the work you put into this website! I loved your story! 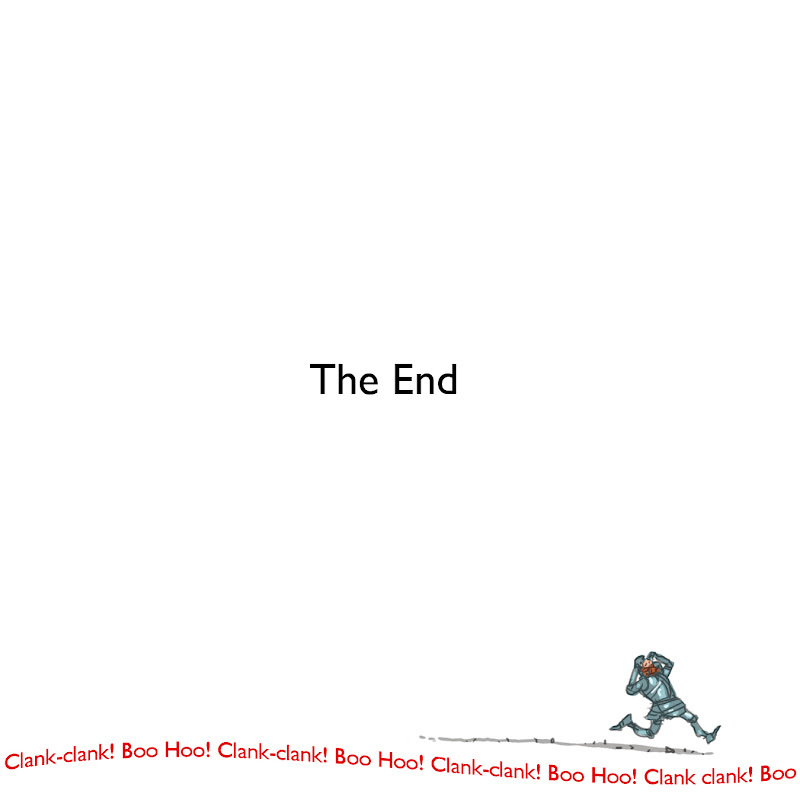 I think that sometimes we as authors think that we need to make these complicated, deep stories when it is the simple, clean story that catches the kids. Your story is simple but it gives humor and a great message. Well done! Keep writing and drawing. Thanks everybody! Percy was fun. Now I'm trying to decide what to do with it, send it to my agent, or maybe try publishing it as an eBook...? I just read it with the kids I tutor at school and they both enjoyed it (especially the Guitar Hero battle). I think you ought to put together a series of books about Percy. He could have all kinds of adventures. I love Calamity Jack! My friend got that one for me and I laughed the whole way through. And I also love My Neighbor Totoro. People call me Totoro sometimes. Not because I'm a big furry forest spirit, but because I tend to stand in the rain without an umbrella. And I must say, this Percy story is quite magnificent. It should be on everyone's bookshelves. Especially mine. You need to publish it, because I will totally buy it.